Pop-out video walls stand out for their ease of installation, ease of maintenance, and infinite modularity. They are ideal for recessed wall installations, and are chosen for their post-installation accessibility. 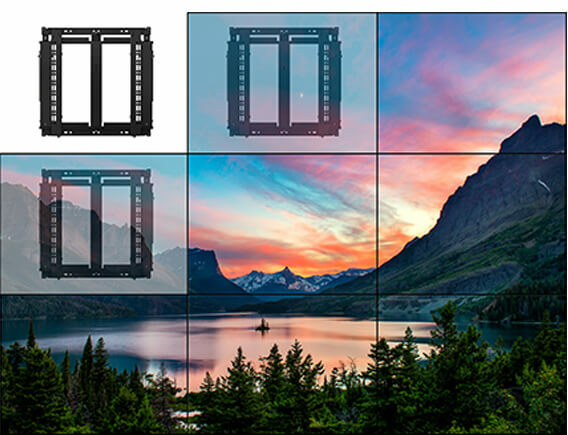 Designed to make video wall installations as quick and simple as possible, this modular video wall mount can be used to create unlimited video wall configurations in both landscape and portrait format. The AD-VWSP has an ultra-low profile for mounting into walls with a shallow recess or when space in front of the wall is minimal. 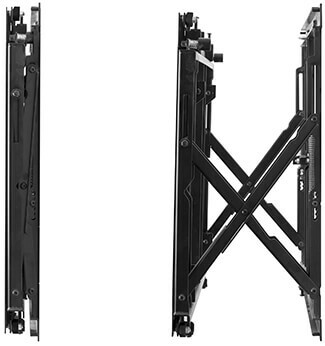 The pop-out system enables quick and easy access to the rear of mounted screens for servicing and maintenance. Every A/V project comes with a unique set of challenges. When installing equipment into an existing structure, integrators may need to securely install equipment into a location that was built before digital signage even existed.